Spinal cord injury (SCI) is a devastating event often resulting in permanent neurologic deficit. Research has revealed an understanding of mechanisms that occur after the primary injury and contribute to functional loss. By targeting these secondary mechanisms of injury, clinicians may be able to offer improved recovery after SCI. In this review, we highlight advances in the field of SCI by framing three questions: (1) What is the preclinical evidence for the neuroprotective agent riluzole that has allowed this agent to move into clinical trials? (2) What is the preclinical evidence for Rho antagonists that have allowed this group of compounds to move into clinical trials? (3) What is the evidence for early surgical decompression after SCI? We conducted a systematic review of MEDLINE and EMBASE-cited articles related to SCI to address these questions. As a result of an improved understanding of the secondary mechanisms of SCI, specific clinical strategies have been established. We highlight three strategies that have made their way from bench to bedside: the sodium-glutamate antagonist riluzole, the Rho inhibitor Cethrin, and early surgical decompression. Each of these modalities is under clinical investigation. We highlight the fundamental science that led to this development. As our understanding of the fundamental mechanisms of SCI improves, we must keep abreast of these discoveries to translate them into therapies that will hopefully benefit patients. We summarize this process of bench to bedside with regard to SCI. 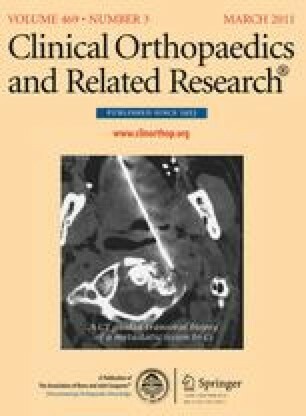 One of the authors (MGF) is the principal investigator on clinical trials investigating the use of riluzole and Cethrin in spinal cord injury, which are funded by the Christopher and Dana Reeve Paralysis Foundation and Alseres Pharmaceuticals, respectively; and is also Principal Investigator on the STASCIS trial, which is supported by the Spine Trauma Study Group through grants from Medtronic. The online version of this article (doi: 10.1007/s11999-010-1674-0) contains supplementary material, which is available to authorized users.